Oh my goodness I am SO obsessed with jumpsuits right now. Because I'm an apple shape I've never really paid them much attention before, assuming the waistlines would do nothing for me except make me look like a barrel. But then last month I tried one on, fell head over heels in love with it, and the rest is history. I am now the proud owner of three bold jumpsuits, with my beady eye on a whole heap more! I know there's the whole having to get naked thing just to go to the loo, but it's a small price to pay when your outfit is ready made, and all you have to worry about is whether to wear clogs or saltwaters with it! 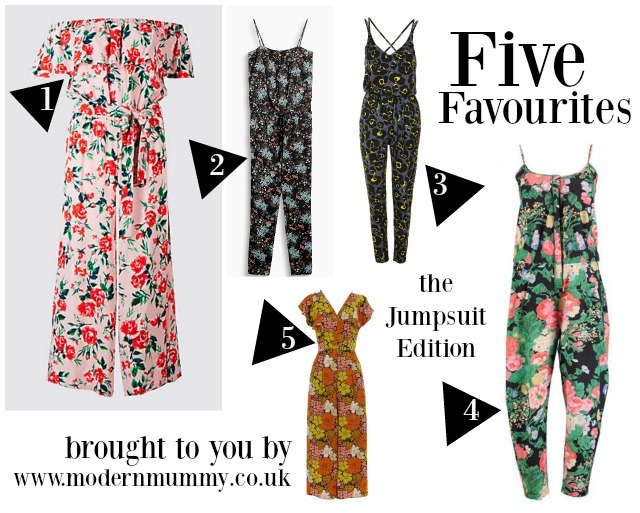 Here are five of my favourite jumpsuits, all of which are in the shops now! THIS, my friends, is THE ORIGINAL JUMPSUIT. The one I tried on, fell for, treated myself to for my birthday and have been wearing ever since! I love the Bardot neckline and the bold PINK print. I'm a real sucker for a floral print, and I adore the scrappy spaghetti straps and tapered legs of this jumpsuit. 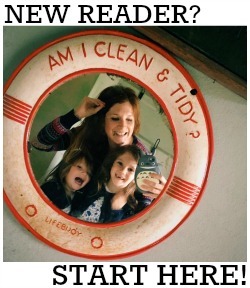 It would look great with a pair of high clogs and a messy top knot! I think I must be turning into Bette Lynch in my old age, I'm all over animal print right now - this one particularly as I love the bold colour scheme. THIS JUMPSUIT! This was made famous by Steph from Don't Buy Her Flowers, over on Instagram. It's literally my dream jumpsuit but at £159 is going to have to stay just that (a dream) for a while. Pre-kiddos, when I was working in Mayfair, I spent ALL my wages in Whistles on South Molton Street. I think they lost their way a bit over the past couple of years but they are killing it this summer, and I am seriously enamoured by this orange beauty! I've never braved one but seen some plus size gals look amazing in them.